Glossier has ramped up their shade offerings on their crowd-favorite Cloud Paint blush, adding a warm rose called Storm and a sunny coral called Dawn. The gel-like consistency and almost-unmatched blendability of Cloud Paint could make even the most adamant of blush-haters into a flush-faced fiend. I own Cloud Paint in Beam and wear it practically every day, but once I saw the deep tone of Storm, I immediately bought it. I questioned my sanity while almost picking up Dawn too, but I think coral is something I’ll need to ease myself into, aka, stare at Glossier’s Instagram photos for six months before deciding I need it. Glossier’s products (and existence, if we’re being honest here) are quite contentious, but after some time playing with practically all of their offerings, I can say that most of them have proved to be worth some, not all, of the hype. Their Lash Slick mascara is my new everyday mascara and I swear by their Solution exfoliator. The weirdly-marketed fragrance is even growing on me. 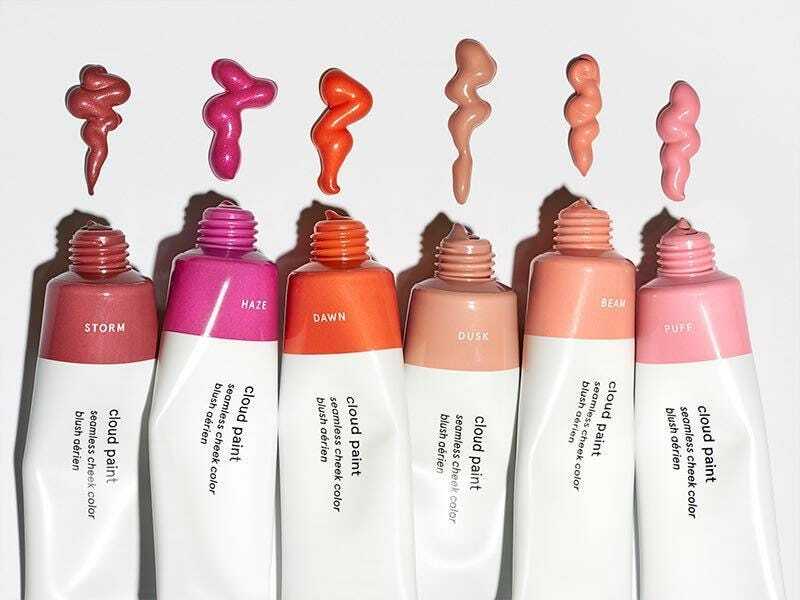 But the addition of new Cloud Paint shades could mean that Glossier is striving to create colors that truly work for all of our skin types, not just their models’. The pigmentation of Storm is sheer enough for medium skin tones, but the color is dark enough to show up on deep skin. Dawn proves to be an elusive shade that somehow looks good on all of the models on their site (though looks are sometimes deceiving. Looking at you, Stretch Concealer). Cloud Paint is pricey for a blush at $18, but you barely need any for a nice wash of color, so it’ll last you a really, really long time.